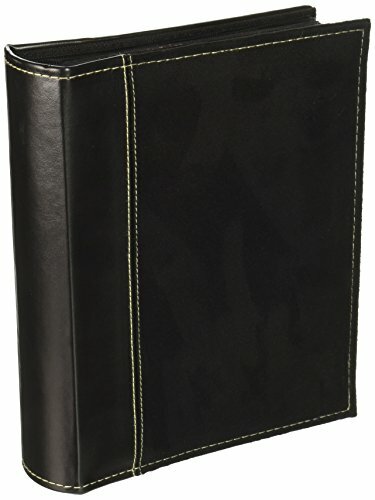 This book style photo album features a sewn faux suede cover with deluxe rounded leatherette spine. It holds 208 photos up to 4"x6" displaying two photos per page in optically clear pockets with black mesh backgrounds. The book measures 9"x7.25"x1.75". Photo safe: acid, lignin and PVC free. Holds prints up to 4"x6"